We all have limited leisure time, so don’t waste a moment and spend it well! That’s why our members choose myconcierge.com and benefit from our professional concierges that handpick the experiences on our website and smartphone Apps. Our team tests out every experience and makes sure every aspect of your booking is taken care of. No vouchers, no hassles; only great service. 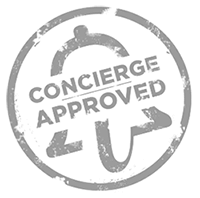 Every experience on myconcierge.com is tried, tested and approved by a member of our concierge team. Only when we are satisfied to offer it to our members is it given our seal of approval. What do we look for? Great experiences with five-star service that we know will make our members happy! Professional concierges that know the very best things to do when it comes to dining and activities are a great resource. But, when combined with a special events team, they are nothing short of amazing! We have more than 200 luxury hotel partners and are in touch with all of the best dining and experience providers in town, so when you need something special, we can help. From romantic occasions to parties, celebrations to business events. Let us know what you need by clicking this link, or by calling 800-CONCIERGE (in the UAE) or +9714 4243611 (international). Our aim is always to provide the best of the best – from the experiences we feature on-site to our pricing. Many of the activities on our site are unique to myconcierge.com, others are more competitively priced or come with added value. But remember, when you book with us, a concierge is assigned to your booking and we make sure that all details – but most especially, you as our member – are well taken care of. We are not a virtual concierge company – we are a real one! That means that qualified professional concierges are on-hand at all times for our members. Our concierge team is available 24/7, so if you need anything we are always at the end of the phone on 800-CONCIERGE (in the UAE) or +9714 4243611 (international).